Apparitions of Mary "Messages from Heaven"
End Times and Current Events > Forum > General Category > False Religions > Catholicism > Apparitions of Mary "Messages from Heaven"
Tens of millions visit apparition sites hoping to encounter the Blessed Virgin Mary. Many believe that these increasing manifestations signal the advent of a new era. Thousands of messages from the apparition of Mary indicate that we are entering a critical moment in world history - cataclysmic changes may soon occur. Those who follow apparitions believe Mary has come to turn us back to God, while others insist that these events are either fabrications or the working of Satan. Does the Bible anticipate apparitions, signs and wonders in the last days? Does the Word of God reveal the origin of these phenomena? How might the apparition of Mary and other paranormal events transform the world in the third millennium? Re: Apparitions of Mary "Messages from Heaven"
How the Catholic Church is using the apparitions of Mary to bring Islam and well all the worlds religions together. According to the book of Revelation, a woman will reign over the kings of the earth in the final days. The apostle John marveled with great amazement when he saw the woman who says in her heart, "I sit as queen" (Revelation 18:7). Who is this queen? Is she the Queen of Heaven? How could she possibly encompass nations and kingdoms? What will be her fate and the fate of those who follow her? Will signs and wonders associated with this "Queen of All" and her son (the Eucharistic Jesus) usher in the "Eucharistic Reign of Jesus" (also referred to many as the "Second Coming")? Queen of Rome, Queen of Islam, Queen of All: The Marian Apparitions plan to unite all religions Under the Roman Catholic Church by Tetlow, Oakland and Myers, will provide biblical answers to these and other questions. The book documents who the "Queen" is and the role she plays to prepare the counterfeit bride for the counterfeit Christ. THE SHRINE OF OUR LADY OF FATIMA BECOMING AN INTERFAITH SHRINE. The following articles point in the direction of an inter-faith, non-Christian, one-world religion. The attempt to build the $46 million building may have failed (at the present, because of the degree of protest), but there is no indication that interfaith meetings won’t continue there. Also, the first article makes it clear that pagans are already visiting Marian shrines. Fatima to Become Interfaith Shrine! Fatima to Become Interfaith Shrine? An Account from One Who Was There. Is a Sleeping Giant About to Awaken? Site of Fatima Apparitions to Become “Interfaith” Facility? While all in America were watching the Chicago riots at the Democratic Convention, or viewing live war zone broadcasts from Vietnam or were being mesmerized by the Watergate hearings on television, the Mother of Jesus was appearing for tens of thousands to see in the land of the pyramids at a Coptic church constructed to commemorate the area in Egypt where she had come with Joseph and Jesus when they all fled from Herod. Starting in April, 1968, her apparitions of light changed the lives of thousands. Her appearances at Zeitun were astounding. She was seen by more than a million people. The apparitions were broadcast by Egyptian TV, photographed by hundreds of professional photographers and personally witnessed by Egyptian President Abdul Nasser. The apparitions lasted for three years with numerous unaccountable healings recorded by various medical professionals. The local police, who initially thought the apparitions were an elaborate hoax, searched a 15-mile radius surrounding the site to uncover any type of device that could be used to project such images. They were completely unsuccessful. Her first visit was on the night of April 2, 1968. Two Muslim watchmen at a garage saw a woman walking the roof of the church across the street. Afraid she was going to jump, they ran out shouting at her not to take her life, summoning a crowd below. The priest of the chapel was the first to believe it was an apparition. The longest single appearance was on April 30, 1968, when the vision remained from 2:45 a.m. until 5 a.m. The nightly apparition attracted vast crowds of both Copts and Muslims, and was declared a genuine miracle by the Coptic Church. During the year when apparitions visited the small church on Tamambay Street in Zeitoun, thousands came, saw and believed, from the humble to the highest bishops of the Coptic church. They describe in detail what they saw 25 years ago. Father Butros Cayid, brother of Pope Shenouda, presides over the cathedral of Zeitoun. "I saw her with my own eyes. The apparition appeared four hours continually, and all the people were shouting, 'San Maria, San Maria! Our Holy Mother, our Holy Mother!'. Father Butros has described her many times, to the believers and the curious. "In a blue dress, glittering," adds Hermina Amin, deacon of the church. "Sometimes you could see every part of the body. Sometimes she appeared at the window, sometimes the whole figure." Others remember her as a light. "She came only at night," said La'ami Tawfia, volunteer director of church projects. "I saw her once. A light, that was weak. After a while, it grew brighter. She was completely white, her face, her robes, everything"
Saraim Wasily was one of the thousands of people who came during the year that the Virgin appeared. Unlike most, who were kept away from the site by police, he was able to watch from his brother's apartment a few dozen meters from the church. "I saw her twice. She was very tall, and she did not stand on the ground. I watched her for more than two hours. She shone more than the moon, all completely white, sometimes with her arms together and sometimes with her arms outstretched. Every night there were doves, and doves, you know, do not fly at night." Despite the police, the street was packed with the faithful and curiosity seekers. "If you wanted to go from this house to the church [across the street], you would take 20 minutes ... There were Muslims and Christians, and everyone was as one, one religion together." His wife interjects with a chuckle, "He was so scared, his hair stood on end." "Not from fear," Wasily responds, finger upraised, "from piety!" Word spread and the faithful came. Foreign visitors and high church officials visited the site and left believing they had seen the Virgin Mary. For a year, the apparition appeared sporadically, never at the same time, accompanied by lights, doves, and stars. Miracles were reported. The Coptic Pope sent an official delegation of bishops to observe the appearances. After seeing the vision walk the rooftops, they solemnly certified that the apparition was genuine. But after two years the visits became almost routine. Distinguished visitors could apply for permission with the patriarch to "Virgin-watch". As winter came, the crowds dwindled, the police re-opened the street, the appearances decreased to an odd star or pigeon, and soon they stopped completely. "She came to remind us that God is with us forever," said Father Butros, "and as a sign of peace, because she was bearing an olive branch. She told us that all the Egyptians will be safe and blessed forever." Others have put the Virgin in her context. She came at a period of crisis in Egyptian history, the 1967 war having vitiated Nasser's pan- Arab appeal. Mary's coming coincided with the return of veiling, the sprouting of beards, and the other signs of the Islamist renaissance. She helped to cement the advent of spiritual over secularist politics. Some anthropologists suggest that Mary's popularity in Egypt is a vestige of the Isis cult, itself an incarnation of primeval mother - goddess worship. Virgin sightings may be among paganism's contributions to monotheistic mysticism. But to Father Butros and his flock, the appearance of the Mother of Jesus in their humble church in Zeitoun, dressed like an icon so that there would be no mistake as to her identity, was heaven's endorsement of all they believed. Consider that 15 to 20 million Marian followers visit a single shrine in Guadalupe, Mexico, every single year! The shrine is dedicated to Our Lady of Guadalupe, who appeared in 1531 to seer Juan Diego. On December 12, 1999, the anniversary of the Virgin Mary's appearance, five million pilgrims visited the shrine to pay honor to Our Lady. In addition, 1999 marked the first time in church history that the feast of the apparition of Our Lady of Guadalupe was celebrated by all bishops and priests in the Western Hemisphere. In an apostolic exhortation delivered during his visit to Mexico in 1999, Pope John Paul II elevated December 12 to a holy day for the Catholic Church. In war-torn Bosnia, an estimated 30 million pilgrims have visited Medjugorje since the apparitions of the Blessed Virgin Mary began in 1981. Besides the six visionaries who regularly receive messages from the Virgin, thousands of pilgrims claim to see signs and wonders; experience healing; and hear the voice of Mary at Medjugorje. Visiting Medjugorje is a painstaking task involving many hours by bus over war-torn roads. The millions of pilgrims who venture to Medjugorje do so with the knowledge that their pilgrimage will be difficult and dangerous -- yet they continue to come in droves. In Conyers, Georgia, seer Nancy Fowler has received up to 100,000 visitors to her farm on a single day. The pilgrims come from all over, many traveling great distances to hear the most recent message from the Blessed Mother. At the National Shrine Grotto of Our Lady of Lourdes, in Emmitsburg, Maryland, attendance has increased to 500,000 per year. Marian apparitions from almost every state in America are being reported -- many of these sites are drawing thousands. From New York City to San Francisco numerous reported visitations from the Queen of Heaven have been documented. The sheer number of Marian followers and their determination to hear from the Virgin reveals that these individuals are not merely curious sightseers, but rather a huge, growing flock of Marian disciples. Five and one-half million pilgrims visit a single apparition site in Lourdes, France annually. Poland's Marian shrine Our Lady of Czestochowa (a favorite of the late Pope John Paul II) draws an estimated five million pilgrims a year. A single apparition site in Knock, Ireland, has drawn millions who come to pray to Our Lady of Knock and visit the Apparition Gable. This Marian shrine has been honored by four popes during the 20th century, including Pope John Paul II, who went on pilgrimage to Knock, Ireland in 1979. The grand scale heroic statue of Our Lady of the Rosary, part of the projected 500-acre Mystical City complex, will top at 1,500 feet. It will have room inside to contain radio and TV stations, various chapels, apartments, a food court, conference rooms and an observation deck. At the famous apparition site in Fatima, Portugal, pilgrims numbering more than one million are in attendance during the October 13th anniversary of the 1917 apparition. Total annual attendance at Fatima is estimated to be 4.5 million, and growing. The list of major apparition sites goes on and on. Thousands gather every year in Amsterdam to celebrate the International Day of Prayer of the Lady and Mother of All Nations. Scores of priests, bishops and cardinals preside over the event, where thousands of participants from over seventy countries and six continents converge to honor the Lady of All Nations. This apparition of the Virgin Mary appeared to visionary Ida Peerdeman numerous times. Her main message was that she wants unity. This unity will come only when the Church and pope officially proclaim the Lady of All Nations as Co-Redemptrix. To date, millions of faithful Marian advocates have petitioned Rome to officially name her Co-Redemptrix. The popularity of the apparitions and her messages has grown to mammoth proportions. Marian historians are quick to point out that apparitions of Mary have been recorded throughout the centuries, but never in the history of Marian apparitions has she appeared with such consistency and frequency as in our day. In 1997, Newsweek ran a cover story on the Virgin Mary. In the article they write: "In many ways, the 20th century has belonged to Mary. From almost every continent, visionaries have reported more than 400 'apparitions' of the Virgin -- more than in the previous three centuries combined.... Taken together, these visions point to what the Marian Movement believes is a millennial 'Age of Mary.'" Never in the history of Christianity has the Blessed Virgin Mary appeared to so many people over so long a period of time with such regularity. Moreover, it seems that the apparitions at Medjugorje have ushered in a new Marian age. There are reports of her appearing everywhere. In his book Call of the Ages, author Thomas W. Petrisko writes: "Millions and millions on all continents of the globe have heard and responded to the Virgin Mary's apparitions and messages. Indeed, there is a significant upswing in attendance at Marian shrines everywhere." The Rev. Charles Dickson, Ph.D., a Lutheran minister, reported this trend in Queen Magazine: "People around the world are traveling enormous distances to demonstrate in person their veneration of the Mother of Our Lord." He goes on to state that France alone has 937 pilgrimage shrines and that at the most popular Marian shrine in France, attendance has increased ten percent in two years. There are over 1500 Marian pilgrimage shrines in Italy, which account for 85% of all their shrines. These are not backyard grottos, but rather significant shrines where Marian followers pilgrimage to! And while devotion to Mary is most noticeable in Catholic countries, Marian devotion is attracting an enormous following from every religion, race and nation. Concerning the growing number of apparitions worldwide, noted Catholic Marian author Michael Brown wrote: "[During the second half of the 20th century Marian apparitions] grew to remarkable proportion ? if every daily or weekly apparition is counted in cases where a seer had more than one, the number would not be calculable....the French periodical Le Monde once estimated twenty-one thousand apparitions between 1976 and 1986!" Dear children, today I invite you to peace. I have come here as the Queen of Peace and I desire to enrich you with my Motherly Peace.... I invite you to become carriers and witnesses of my peace to this unpeaceful world. Let peace rule in the whole world. In another message, Mary told the seers: "Tell this priest, tell everyone, that it is you who are divided on earth. The Muslims and the Orthodox, for the same reason as Catholics, are equal before my Son and I. You are all my children." Mary's message of peace, unity, and tolerance is one that a distressed and perplexed world craves. Her reported messages in Betania, Venezuela typify her words of hope given around the world: "My children, I am giving you a piece of Heaven.... Betania, Venezuela. It is for everyone, not only Catholics.... My message is of faith, love, and hope. More than anything, it brings reconciliation between people and nations. It is the only thing that can save this century from war and eternal death." A Muslim student visiting Rome wants especially to see the Church of Santa Maria Maggiore. Surprised? The poetry of a Syrian mystic is replete with Marian devotion. Surprised? Martin Luther recommended prayer to Mary. Surprised? An American Pentecostalist minister begins to visit shrines of Marian apparitions. Surprised? Muslims refer to Mary as il-Sittneh, or Our Lady. Surprised? A chapter in the Koran is named after her. Surprised? Mary's deep kindness as a mother is portrayed in Chinese art. Surprised? And now a presbyterian minister has written a book recommending praying the rosary. Still surprised? ? a closer investigation of both past history and current events points out that Mary has a universal appeal that transcends our cultural, geographical, and even religious boundaries. In a shift whose ideological breadth is unusual in the fragmented Protestant world, a long-standing wall around Mary appears to be eroding?Mary is also gaining popularity at Protestant divinity schools, where her icons adorn future pastor's walls. The article cites examples that were previously unimaginable. For instance, in a Methodist church on Chicago's South Side, flanking the altar are two Mary statues with fresh roses at their feet, and hanging from the hands of the baby Jesus is a Rosary. The altar cover presents the church's most stunning image: Mary again, this time totally surrounded by a multi-colored halo. The Time cover story is part of a larger phenomenon, with many mainline Protestants turning to a reconsideration of Mary and incorporating the veneration of Mary into personal devotions and corporate worship. Some are going so far as to acknowledge Mary as an intercessor, addressing prayers to her as well as to other saints. Surprisingly enough, some Protestants now argue that believers should pray to Mary, and should request her intercession. A growing number of Americans from all Christian denominations are reaching out to the Virgin Mary as a comforting conduit of spirituality and a symbol of peace in troubled times.... Reported sightings of Mary have steadily increased across the globe in recent years.... Her maternal gaze seems to have an ecumenical appeal.... It's not just Roman Catholics who are interested in Mary and following the apparitions.... Each day, thousands of people bring their troubles to the sites where the Virgin is claimed to have appeared. One of the best witnessed series of apparitions occurred at a Coptic Orthodox church in Zeitoun, Egypt, a suburb of Cairo. People from many countries and of varied religious backgrounds witnessed the apparitions from 1968 to1973. It is estimated that the total number of witnesses numbered in the millions! Moslems, Copts, Roman Catholics, Protestants, and others were united in their adoration of the Lady who seemed to be composed of light. Moslems chanted from the Koran: "Mary, God has chosen thee. And purified thee; He has chosen thee above all women." At Zeitoun, as well as countless other sites around the globe, the phenomenon draws together people from every conceivable background. Try to understand the reason for My coming on this day. The Lord Jesus Christ has selected this great day for "the Lady of All Nations." Her mission is to establish unity among Her nations. She is sent to make one great Community of Her nations. To gather all nations into one Community, that is the task set before the world in this present time, which I have heralded repeatedly. In 1996, Life Magazine featured Mary on the cover and asked these questions: "Why are two billion Hail Marys said daily? Why did five million people, many non-Christian, visit Lourdes this year to drink the healing waters? Why did more than 10 million trek to Guadalupe to pray to Our Lady? ?Why the apparitions? Why are Mary hymns creeping into Methodist songbooks? ?What is it about Mary?" The Life article goes on to list numerous apparitions and to quote various statistics. For instance, Life notes that "In Italy, 50 weeping Madonna statues have been reported in the past two years." Life explains that Mary's popularity is not just among Catholics: "One of the intriguing aspects of the latest rise of Mary is this: The emotional need for her is so irresistible to a troubled world that people without an obvious link to the Virgin are being drawn to her. It's not news that Muslims revere Mary as a pure and holy saint -- she's mentioned 34 times in the Koran, ?but to see large numbers of Muslims making pilgrimages to Christian Marian shrines is a remarkable thing. Interdenominational Marian prayer groups are springing up throughout the world." There can be no doubt that her ecumenical messages and her maternal appearances attract multitudes. In addition, there is another aspect to the apparitions that is also drawing many. Reported miracles, signs, and wonders have risen sharply in recent decades. In a world that seeks interaction with the supernatural, it is no surprise that many flock to the miraculous. These miracles, if true, would rival the miracles performed in Moses' day. Consider the phenomenon known as "the Miracle of the Sun" commonly reported at sites around the globe. Just when it seemed that the ball of fire would fall upon and destroy them, the miracle ceased and the sun resumed its normal place in the sky, shining forth as peacefully as ever. When the people arose from the ground, cries of astonishment were heard on all sides. Their clothes, which had been soaking wet and muddy, now were clean and dry. Many of the sick and crippled had been cured of their afflictions. The Miracle of the Sun is a common, albeit fantastic, event at many apparition sites. At dozens of locations, literally millions have reported the sun miracle. It happened before a crowd of 100,000 in Puerto Rico on April 23, 1991, which was the 38th anniversary of the apparitions there. It happened again in the Philippines on March 5, 1993, in front of a crowd of 300,000. In El Cajas, Ecuador 120,000 pilgrims were in attendance when the miracle of the sun occurred there in the late 1980's. Similar events have been recorded at such apparition sites as Medjugorje, Bosnia; Denver, Colorado; Lubbock, Texas; and Conyers, Georgia. The appearances of the Mother of God in Medjugorje have been accompanied by a number of miracles, including physical healings (now numbered at 360), reports of the sun dancing or spinning in the sky, rosary links and medals that apparently change from silver to gold, and other phenomenon....Just as Christ worked miracles during his earthly life to authenticate his teaching and ministry, so Our Lady of Medjugorje seems to be using them to validate her presence and messages, which, as always, direct us to her Son. While the title of this book may seem presumptuous, as we continue to document, it will become clear that the Queen of Heaven is truly gathering a massive, global following from ever religion and race. The many books on Marian apparitions express that there is a growing consensus that the world is looking for a heavenly Mother -- one who is tender, merciful, and non-judgmental, with the power and influence to solve our problems. 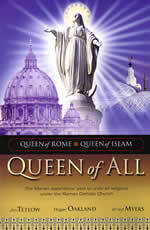 Global peace, unity, and tolerance are repeatedly heralded by the Queen of Peace -- as she is often called. This is a common reason for the Marian apparition's universal appeal. The Lady and Mother of All Nations -- a title she ascribed to herself at a popular apparition site -- presents herself as kind and approachable, while at the same time claiming heavenly access and authority. In addition to maternal charm, the apparitions draw millions due to the numerous reported signs, wonders, and miracles. The testimony of pilgrims to a physical or emotional healing has proven irresistible to people from all walks of life. This combination of qualities that the apparitions put forth -- a caring Mother, a powerful intercessor, a bridge-builder, and a miracle worker -- has proved successful in bringing together multitudes who would not normally associate. In these difficult days, when our global problems seem insurmountable, a growing number are turning to the Queen of All as perhaps the world's best advocate. Through the Demon Queen of Heaven known today as Mary, she is bringing all faiths together for the end time one world interfaith religion. The maternal and sympathizing figure of Mary, the Mother of Jesus, is so close to the human heart - of any human heart - whatever its culture, its time, its religion that the Blessed Virgin is loved and venerated beyond the Christian world! The Virgin is universally honored as being pure; she is the Mother who is able to understand the human heart and man's need for love which is always the same on every horizon. Thus for example, in Buddhism or Hinduism, religions so remote from the Christian Revelation, Mary is perceived as a Mother full of love whose tenderness is matched only by her courage to defend her beloved Son. For this reason, many followers of these non-Christian religions are attracted to the Mother of Jesus and go to extent of even praying to her, as they would to their own mother. Mary is known and respected - she is even prayed to at times - in Islam. Mary is well-known in Islam because she is mentioned on several occasions in the Holy Qur'an, and in particular in the Sourate 19, as a virgin and mother - by divine intervention - of the Prophet Jesus. Mary is venerated in Islam primarily for her virtues: her virginal purity, her humility and her piety, which makes of her a model for believers. But Mary is not regarded as the Mother of God because the Muslims don't recognize Jesus as the Son of God incarnate, as God Himself. 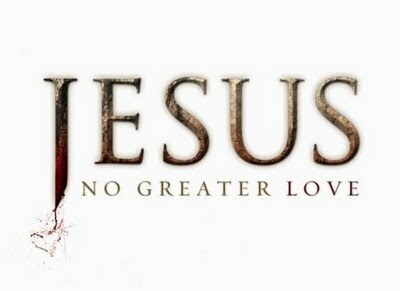 However, in Islam Jesus is just a great prophet, born by miracle, of an exceptional virgin. Actually, the main point of convergence between Islam and Christianity is the recognition of a common Patriarch, Abraham from whom the Muslims, like the Jews and the Christians, hold their monotheist faith (belief in only one God). But in spite of common references among the figures in the Bible who can be found again in the Qur'an, the Muslim and the Christian faith differ on the question of the origin of Mary herself because of a confusion in the Qur'an between Mary - Mother of Jesus - and Myriam, the sister of Moses and Aaron, who lived in the 13th century B.C. She said: Surely I fly for refuge from you to the Beneficent God, if you are one guarding (against evil). So eat and drink and refresh the eye. Then if you see any mortal, say: Surely I have vowed a fast to the Beneficent God, so I shall not speak to any man today. But parties from among them disagreed with each other, so woe to those who disbelieve, because of presence on a great. - (1 ) It is interesting to note, while reading these passages, that Mary, although she is recognized by the text to be a virgin and the mother of Jesus, she is not considered to be the Mother of God. She is simply the mother of a prophet. In the Qur'an, Jesus is not considered to be the Son of God incarnate, but merely a simple prophet. The Qur’an speaks of Mary in respectful, even admiring terms, and frequently invites the faithful to “remember her”: yes, “mention Mary” (Qur'an 19: 76). The common sight of Muslim men and women in Marian shrines invites one to ponder: Does Islam teach anything about Mary’s intercession like the Catholic Church (Vatican II, Lumen Gentium 62 or 69)? This is a prayer written by Christians, accepted and tolerated by Muslims. O Our Lady of Fatima, bless the whole human race, so that it may follow a path of peace, human fraternity and spiritual elevation. O Our Lady of Fatima, grant concord to all men on earth. O Our Lady of Fatima, allow us to pay you this homage, although insignificant, which comes directly from our hearts full of veneration and true love. This speech could partly be one suited for the occasion, to entertain local conviviality. We can’t dismiss the possible confusion for the Muslim audience between “Our Lady of Fatima” and “Fatima, the daughter of the Prophet” either. The fact remains that what you have here is an expression of the Muslims’ popular trust in Mary’s intercession. This Muslim prayer is a blessing for peace that could take root – although indirectly – with the surah of Mary, where the son of Mary is described as a non-violent being on whom Peace rests (Qur’an 19 : 33). In particular, there won’t be the possibility of intercession for those who will not have recognized in Muhammad the messenger of Allah (Surah 9 : 80). In such a context, speaking objectively of an intercession from Mary, whether in favor of Muslims or non-Muslims, doesn’t make a lot of sense in Islam. Nasser, a young Muslim serving as a paratrooper for the Jordanian army in Amman, was bedridden after making a bad landing and hurting a vertebra. He wasn’t recovering. Nasser’s fiancée was a young Muslim girl, raised by the Sisters of the Rosary. The young people felt a great sadness about the future. Nasser was sent to London where an unhappy injection left him paralyzed for life. Back at the military hospital of Amman, he learned that his fiancée’s parents wanted to break off the engagement and he himself agreed. However, a friend of the girl, Sister L. of the Rosary, went to visit Nasser through an inspiration of the Holy Spirit, and gave him a Miraculous Medal. He kissed it and accepted to wear it. Sister L. told him: "What the doctors can’t do, God will do and heal you." That night, Nasser heard a voice telling him: "Nasser, you are healed now, get up." He answered: "It’s impossible, I am paralyzed for life." A second time the voice said: "Nasser, you are healed now, get up." The third time, the voice said: "I am the Mother of Jesus, in his Name, I have healed you, get up." At that moment, he felt two strong hands pulling him up. He was healed. Exulting with joy, truly healed, he woke up the whole hospital. Doctors and nurses couldn’t believe their eyes. Sister L. entrusted the paralyzed man to Mary’s intercession. This was the meaning of her gesture when she had given Nasser a Miraculous Medal. However, the Muslim faith does not teach that Mary intercedes for men. This is where another revelation came in for the young Muslim, which occurred in a private manner, through a voice he heard (it is of little relevance here how he heard it, interiorly or exteriorly). To remain a Muslim wasn’t for Nasser the coherent and harmonious thing to do while he had gained this new consciousness of Mary’s intercession; so he decided to become a Christian. P. Demoutiez – M. T. Pereira da Cunha, Nossa Senhora de Fatima, Peregrina do Mundo, Lisboa 1953,- cité da E. Oggé, La Madonna Missionaria, Edizioni Missioni Consolata, 2° editino, Turin 1968, p. 333. Islam Islam is an Arabic word that can be defined as "to make peace." Islam is the religion founded by Mohammed, which considers the Koran as its holy book. In addition, Islam accepts the New Testament of the Christians and the Old Testament of the Jews as Divinely inspired works. Followers of Islam are known as Muslims (also: Moors, Turks, and Moslems) and, just as Jews and Christians, believe in only one God. Yet, over the centuries, Muslims have engaged in tremendous wars with Christians and Jews. It would seem that there is little hope for peace. However, Heaven's Peace Plan, involving Our Lady, is evidenced at Fatima, Portugal as well as other places around the world. On October 7, 1571, a great victory over the mighty Turkish fleet was won by Catholic naval forces primarily from Spain, Venice, and Genoa under the command of Don Juan of Austria. It was the last battle at sea between "oared" ships, which featured the most powerful navy in the world, a Moslem force with between 12,000 to 15,000 Christian slaves as rowers. The patchwork team of Catholic ships was powered by the Holy Rosary of the Blessed Virgin Mary. Knowing that the Christian forces were at a distinct material disadvantage, the holy pontiff, St. Pope Pius V called for all of Europe to pray the Rosary for victory. We know today that the victory was decisive, prevented the Islamic invasion of Europe, and evidenced the Hand of God working through Our Lady. At the hour of victory, St. Pope Pius V, who was hundreds of miles away at the Vatican, is said to have gotten up from a meeting, went over to a window, and exclaimed with supernatural radiance: "The Christian fleet is victorious!" and shed tears of thanksgiving to God. Since ancient times, goddesses have been both well known and revered in India. Thousands of images of women that were found in the North-West of India in the ruins of the Indus Valley civilization (around 2500-1500 B.C.) show that goddesses played an important role in the religion of this culture, even though male divinities dominated the written traditions. The daily worship of goddesses in Hinduism is visible at a village level, where goddess worship occupies a key role. Although in the minds of the villagers goddesses are part of literature and tradition, many of them in fact only have a regional or local reputation. These village goddesses care for the existence, interests and well-being of the community. They are particularly associated with fertility – both of the crops as of the human – as well as illnesses.They are usually revered by all the members of one village and identified with that specific village. Some Hindu theologians believe in the existence of a Great Goddess who appears in different forms. Numerous goddesses in the Hindu tradition represent a unifying cosmic principal, powerfully fecund, active and female in gender. Although this character has many names, she is generally known as Devi (Goddess) or Mahdevi (Great Goddess). She is often called Sakti, which means “power” and hints at her wide and unending powers of creation. This Great Goddess is fundamentally an active divinity, attentive to the stability of the world and to the needs of her worshippers. The dark, destructive, blood-thirsty side of the Great Goddess is seen as a natural part of a certain sense of order given that she covers all things and affirms a positive and necessary interaction in the cosmos between life and death, creation and destruction, strength and rest. The devotion of Hindus and other Indian religions towards the Blessed Virgin Mary should be put into this context of worship of the Hindu goddesses. The popular concept of the Hindu goddess cannot be applied to Our Lady, even though she has many of the attributes of Hindu goddesses. She is respected and venerated by Indians in popular tradition like a holy woman who answers their prayers for material and spiritual needs. However if we were able to speak to them convincingly of the real greatness of Our Lady as Immaculate Mother of our Redeemer, they might grow to respect and venerate her as she deserves. Buddhism, strictly speaking, does not evoke God, and therefore understandably has no reason to include a figure such as the Blessed Virgin Mary in the picture of salvation. With time, the concept of Kannon-Bosatsu (in Sanskrit: Bodhisattva Avalokitesvara) as the Mother Buddha - with boundless pity - appeared and expanded in Mahayana Buddhism (most common type of Buddhism in Japan, Korea and China). The devotion to Kannon-Bosatsu quickly spread throughout China, Korea and Japan. The numerous of temples dedicated to this Kannon has become popular destinations for Buddhist pilgrimages. From the time when Tokuwaga was shogun (governor), Christians were persecuted for three centuries. The persecuted Catholics remained faithful with the help of small statues of Mary-Kannon (Kannon was a goddess of pity worshipped by the Buddhists). Some of these statues, apparently depicting Kannon, were in actual fact venerated as the Blessed Virgin Mary (often with the Infant Jesus in her arms). This allowed Catholics to escape the scrutiny of the authorities. Nowadays, many Buddhists – particularly Buddhists from Japan – choose Lourdes as their favorite place of pilgrimage when they come to Europe. The image of Mary, mother and refuge of a wounded and ailing humanity, draws the hearts of many Buddhists to her, as they have not forgotten Kannon. In October 2000, Phra Sommai, the head Buddhist priest of the Kaew Praew temple in northern Thailand, friend of the Catholic Focolari movement, took part in the Pope’s Wednesday Public hearing, after which he visited the Focolari centers of Rocca di Papa and Loppiano. “O Mother of love, you hold the universe in your arms. As you look down, your serene face seems sad, but you are full of tenderness, of kindness, of endless pity. Your hands together in prayer bless us from the heart. In times of loneliness, turning towards you, I have felt the warmth of your close presence. For he who errs, you bring real comfort; in anxiety you bring us guidance and light. You give us happiness and rest. Nowadays many non-Christians see Mother Mary as an expression of the feminine face of God, another form of the Great Mother, whom humans have worshipped for 25.000 years. To Catholics Mother Mary is not a goddess yet more powerful than any goddess or any saint. She is hailed as the Mother of God and of all humans, the Queen of Heaven and Earth, the Queen of Peace, the Queen of the Apostles, the Queen of the Angels, the Seat of Wisdom, the Spouse of the Holy Spirit…. The Bible describes her as the "woman clothed in the sun, with the moon under her feet, and on her head a crown of 12 stars". (Revelation 12,1) She is said to share the throne of Christ and to have been "divinized", i.e. to have become inseparably one with God in complete "divine, mystical union", to have "inherited the kingdom of God" as Paul would call it. Hence Pope Benedikt XVI called her "divine mother" at Pope John Paul II’s funeral. These pilgrimages are not about who is objectively right, but about who Mary is meant to be for you personally. And only you can determine that. We can help by taking you to her holy sites and sharing her public messages with you, but you will have to find out yourself what she is saying in your heart. Throughout the centuries Mother Mary has been appearing to people across the globe. She started in the year A.D. 40 and never stopped. (See Roy Abraham Varghese’s book "God Sent: A History of the Accredited Apparitions of Mary") Since 1981 the Mother of God has been appearing daily in Medjugorje, Bosnia, which is now her most powerful holy place. There she has been affirming that she is the Mother of all humans of all faiths and that God is the King of all Religions. She says that all her children are equal in the eyes of God and his Mother, and that we are the ones who like to divide, not God. Hence all are welcomed to come before her, no matter what their faith and opinion. We will also discuss what the Blessed Mother has communicated in other apparitions, whose sites we will not get to. For example: in Paris in 1830, she demanded that a medal be crafted and widely distributed, depicting the cross of Jesus permanently anchored in her initial M and their two hearts underneath it, perfectly equal in size. You will be on a traveling meditation retreat, a true pilgrimage, but with the modern comforts of public transportation and skipping the sack and ashes! More than studying the power of the Blessed Mother in the course of Christian history, you will experience it for yourself through prayer and meditation at her holy places. You will be encouraged and supported in doing what she recommends for the sake of the earth and our own peace and illumination: First, to pray in silence, word, and song three times a day for one hour each. Second, to fast on bread and water on Wednesdays and Fridays or at least to make some kind of sacrifice and offering on those days. (e.g. no alcohol, meat or TV) Our Lady often says that prayer and fasting can stop wars and prevent natural catastrophes, not to mention the spiritual graces it confers. i am scared 'cause i saw her on a candle yesterday (cheap imported religious thing), wondered what would befall us if they mexis got super mad and whacked out. thank you for posting this, we thought of it kind of on the same day, it is a real worry not just pie in the sky. Pope John Paul II has called for a new evangelization focused on the Eucharistic Christ. According to Roman Catholic teaching, the Eucharist is the central component of the Mass and the source and summit of Christianity. It is believed that when a priest consecrates the Communion bread, the wafer is no longer bread, but the actual body, blood, soul, and divinity of Jesus Christ. Rome teaches that Jesus is literally and bodily present wherever a consecrated Host is found. Therefore, hundreds of thousands of Catholic churches claim that Jesus is present in their eucharistic tabernacle or monstrance. How might this peculiar belief lead to the evangelization of the world into the Roman Catholic religious system? Is transubstantiation taught in the Bible? Does Bible prophecy give insight into these global, ecumenical end-time events? What did Jesus mean when He warned that many would claim that Christ was in the "inner rooms" in the last days (Matthew 24: 23-27)? Why did Jesus warn that these false appearances of counterfeit christ's would be accompanied by "great signs and wonders to deceive, if possible, even the elect"? Another Jesus? The Eucharistic Christ and the New Evangelization, explores these topics from a biblical perspective - exhorting all to heed the Bible's warnings. By chronicling the growing cult of eucharistic adoration and the increasing trend of eucharistic evangelization, Roger Oakland points readers back to a "more sure word of prophecy" and the true Jesus of the Bible.